Mila McManus, M.D., graduated at the top of her class from UT-Houston Medical School in 2000. She is board-certified in Family Medicine. Dr. McManus has always had a special interest in preventive medicine, but it wasn't until her interest became personal that she decided to leave her private practice to specialize in wellness. She suffered with fatigue, weight gain, headaches, PMS symptoms, depression, anxiety, IBS, allergies, and brain fog, and noticed a disturbing trend in the number of patients presenting to clinic with similar complaints. Routine exams and blood work were failing to reveal an underlying etiology for her patients' symptoms as well as her own. Dr. McManus went in search of answers and discovered natural ways to treat root causes of health problems rather than band-aiding symptoms with prescription drugs. She became certified by the American Academy of Biologically Identical Hormone Therapy in 2004 and founded TWIHW where she treats common health problems such as depression, fatigue, anxiety, weight gain, allergies, brain fog, PMS, headaches, stomach issues, fibromyalgia, and sleep disorders. Since she’s experienced the benefits of wellness firsthand, her mission is to increase public awareness of natural alternatives to treating health problems. She hosts free events that are open to the public. She also sends out a monthly eNewsletter. Dr. McManus is the former Medical Director for Avante Medspa. She is also a member of the TMA, AAFP, AMA, Pan American Allergy Society, and has board certification through The American Academy of Anti-Aging Medicine. 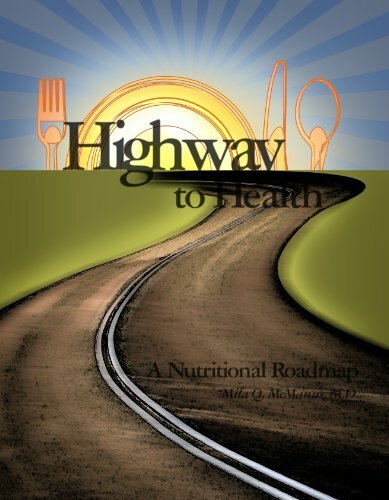 She has been featured on episodes of Great Day Houston and The Business Makers Radio Show and published her book Highway to Health: A Nutritional Roadmap in 2008. Dr. McManus is a certified GAPS practitioner and a contributing writer for I-Am Magazine.